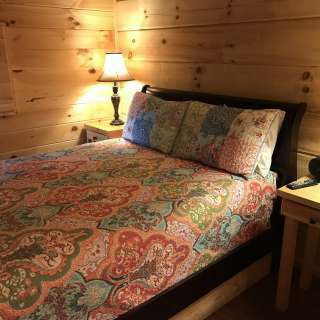 Real dove-tail log cabins each with hot tub, fireplace, one-bedroom with queen bed, full bath, full kitchen, washer and dryer, satellite TV, and wireless Internet. 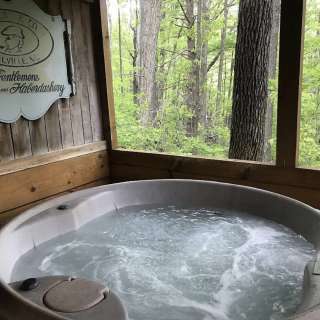 All cabins are surrounded by the Pisgah National Forest creating a totally private experience. Yet close to area attractions, such as Biltmore, the Blue Ridge Parkway, skiing, mountain biking, rafting and more. Pet Friendly!